We are a small visitor friendly farm located 10 miles north of Stowe. * Within 45 minutes drive of 3 alpine ski resorts:Stowe, Smugglers Notch and Jay Peak, and Craftsbury Nordic Center for cross country * A mere 10 miles drive from 2 golf course* 5 miles from Green Mountain Reservoir and Lake Elmore for fishing, canoeing, swimming, and boating* Situated on an idyllic country road with beautiful views* A great place to experience country living with a small herd of cows, goats, horses, ducks, chickens and geese on the premises. Winter- Experience the heart of Vermont Winter! : We are within 45 minutes of three alpine ski resorts: Stowe, Smugglers Notch and Jay Peak and 30 minutes from Craftsbury Nordic Center for cross country and snowshoeing. We are 10 miles from the delightful village of Stowe. 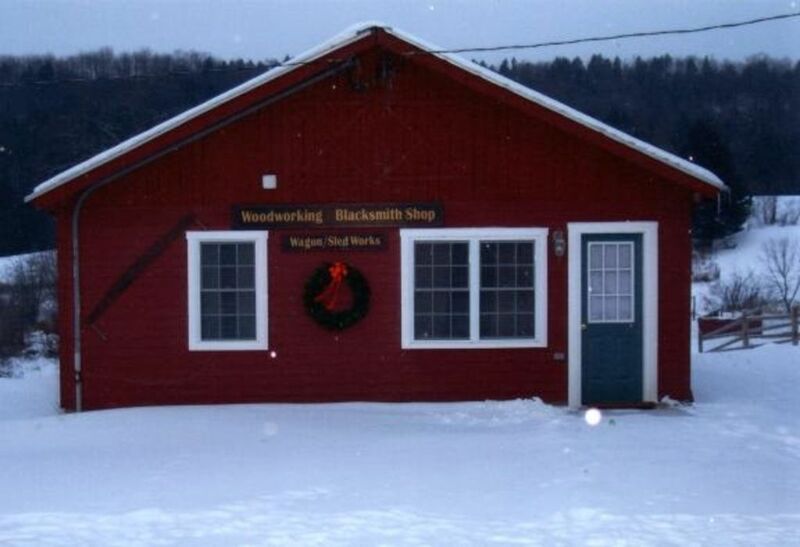 We are minutes from horse drawn sleigh rides and ideally located for snowmobilers. Summer- Relax in the slower pace in Vermont: Re-energize your spirit with fishing, boating and swimming at Green Mountain Reservoir and Lake Elmore. Breathe in fresh Vermont air while hiking the green mountain club trails at Stowe, Smugglers Notch and Jay Peak. Visit unique Vermont attractions including Ben & Jerry's and Cabot Creamery. Meander through picturesque Stowe Village and one-of-a-kind shops. Meet our horses, cows and goats, feed the baby calves, gather chicken eggs and feed our chickens, ducks and geese at our farm. Fall- What a view! : Enjoy beautiful scenic driving tours through Vermont's fall foliage. Experience our community hospitality at one of our many Vermont chicken pot pie dinners. Take a step back in time and experience a real Vermont country fair. a/c in bedrooms and movable floor fans for the living room and kitchen. There is not many days that fans are needed. Unfortunately we had to cancel at the last minute due to a nasty snowstorm the day of our travel. My apologies to the owners as it was a game-time decision and we watched the weather reports and road/traffic status like hawks until we called it. In the end it was the right call as the roads were terrible with a ton of accidents. We appreciate the owners for understanding and hope we can try again next year. Our entire family enjoyed our recent stay at this beautiful cottage! Tom and Carole were so kind and gracious. We enjoyed getting to know the horses, goats, and chickens, too. This cottage is conveniently located near all of the attractions and restaurants we wanted to visit. The full kitchen gave us an opportunity to save a little money while enjoying fresh eggs for breakfast that were left for us in the refrigerator. If we are ever in this area again,we will definitely stay at the cottage! Thanks for choosing our cottage for your visit. It’s hard to believe 4 dogs 🐶, 2 children and 2 adults stayed here for 5 days. The cottage doesn’t look like it was stayed in at all. Thanks for keeping everything so nice. It was our 2nd stay at the cottage. Tom and Carole are the best hosts! The farm is so peaceful and beautiful. There is nothing better than to wake up with horses out of the back door and cooking farm fresh eggs. Can’t wait to go back! Small working farm, located close to fishing, boating, golfing, skiing and much more. We are close to picturesque Stowe village, Ben and Jerry's and Cabot Creamery.